"Scenes" from the Collective Musuem exhibition. The Institute of the Arts and Sciences (IAS) at UC Santa Cruz will kick off its innovative first exhibition project--Collective Museum, by the Portland-based artist group Public Doors and Windows--on Thursday, February 11. 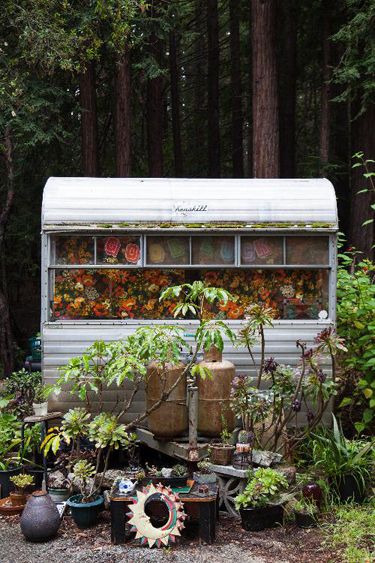 Collective Museum is an unusual participatory exhibition that encompasses 50 sites at UC Santa Cruz. The vast installation comes complete with informational signs displayed all around the university, a photo exhibition spread through five buildings, a museum tour, a print-on-demand catalogue, and a GPS-enabled mobile website. 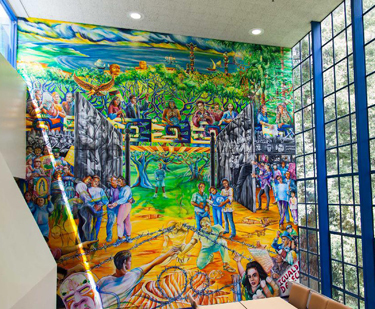 To re-envision the university as a museum, the Public Doors and Windows artists collected stories from faculty, staff, students, and alumni about 50 sites on campus. 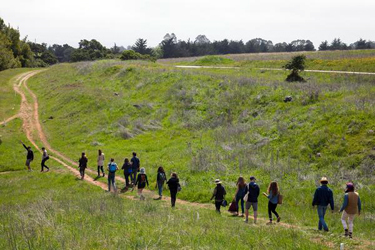 They range from the site of the first international meeting to discuss sequencing the human genome; to sites of particularly meaningful academic and personal experiences of students, staff and faculty; to natural sites--such as those mysterious mima mounds on the rolling fields of the lower UCSC campus that still puzzle scientists today. Marking the exhibition’s launch on Feb.11, a tandem exhibition will open at the Mary Porter Sesnon Gallery at Porter College, running through March 12. 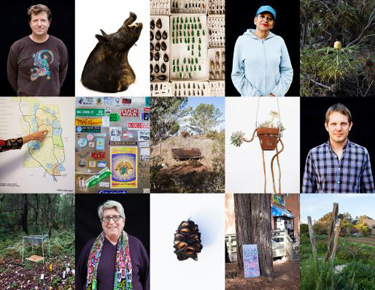 It will display sculptures of each site in the Collective Museum, created by students in UCSC faculty A. Laurie Palmer and Dee Hibbert-Jones’s art classes, along with portraits of the students, faculty, staff, and alumni who provided the sites and stories that compose the project. “The collaborative, ecology-conscious legacy of the Farm greatly influenced Fletcher's work, and that of his artistic collaborators Molly Sherman and Nolan Calisch, who also have a farming background. Together, their practice emphasizes working collaboratively with other people, particularly non-artists; an understanding of art as a 'social ecology;' and a belief that art, like healthy food, should reach everyone," Weber added. Weber noted that Collective Museum will offer visitors a unique window into the university. 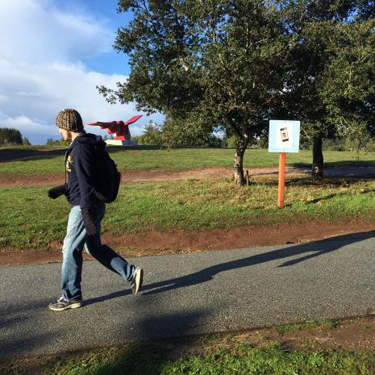 “It offers a creative, playful, yet deeply meaningful look at UC Santa Cruz, our culture, and our campus. “Yet I’m also sure that even longtime campus staff, faculty and students will learn something new and fascinating about this unusual place,” said Weber. The “museum” will touch on locations and activities across the campus, even extending down to the Long Marine Lab, and the Forest Ecology Research Plot, a hard-to-find site on the Upper Campus. Each of the 50 sites is marked with distinctive blue signage, with a short quote from the site contributor and a link to interviews and information. Additional gallery walls across campus further document the sites and deepen the project. Rachel Nelson, the IAS’s graduate assistant, served as co-curator of the project while pursuing her work towards a Ph.D. in Visual Studies. She has worked closely with the artists from Public Doors and Windows over the past two years to help plan the exhibition. 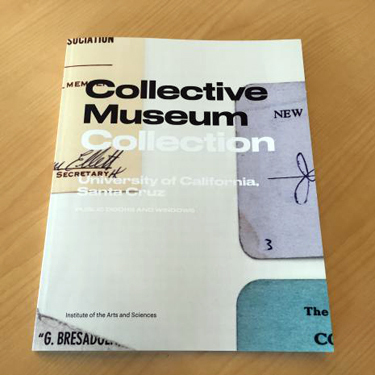 A print-on-demand collection catalogue will document the Collective Museum. 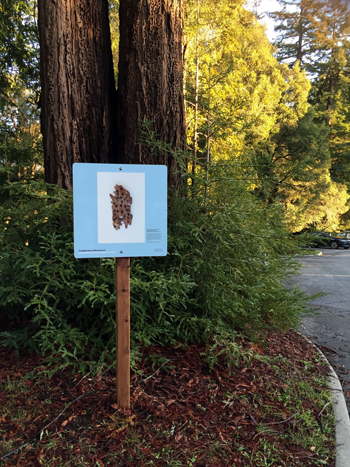 It includes archival and new photos about all the sites; a conversation between the artists and historian James Clifford, emeritus professor in UC Santa Cruz’s History of Consciousness department; as well as an essay about the work of Public Doors and Windows by Weber and Nelson. Another catalogue contributor is the filmmaker, performance artist and author Miranda July, who offers an evocative autobiographical reminiscence of her two years on campus as a student. For more information and the schedule of events—including a special all-day walking tour led by Public Doors and Windows artists Harrell Fletcher, Molly Sherman, and Nolan Calisch--visit the Institute of Arts and Sciences web site or the Sesnon Gallery. All events are free and open to the public.